What are all-season tyres, and are they right for my vehicle? Are you familiar with all-season tyres – also known as all-weather tyres? They’re a relatively new tyre fitting option, and there’s quite a buzz around them at the moment. Increasingly, more and more UK motorists are choosing to drive on all-seasons, rather than traditional dedicated summer and winter tyres. As the name suggests, all-seasons are aimed at drivers that want tyres that are engineered to offer good performance all year round, offering some of the qualities you get with seasonal tyres. Premium tyre manufacturers, like Continental, provide drivers with a range of all-season tyres. Their collection includes dedicated van tyres, as well as those designed for cars and SUVs. Continental’s AllSeasonContact™ is recognised as one of the best all-season tyres you can drive on. 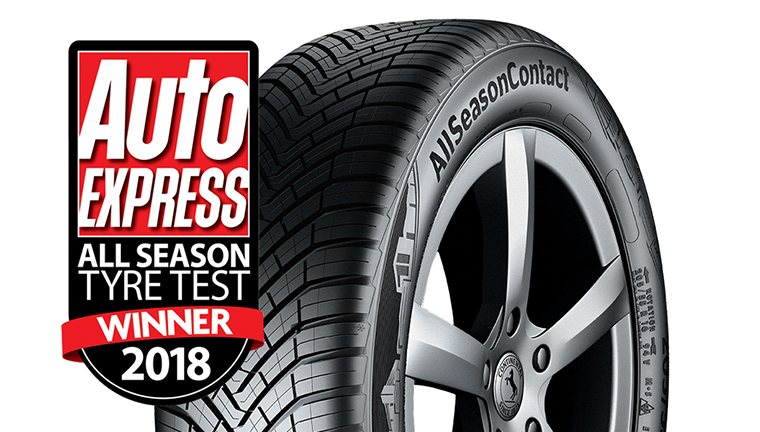 It’s so highly regarded that the UK’s No1 selling weekly car magazine, Auto Express, named it as their All Season Tyre Test Winner for 2018. 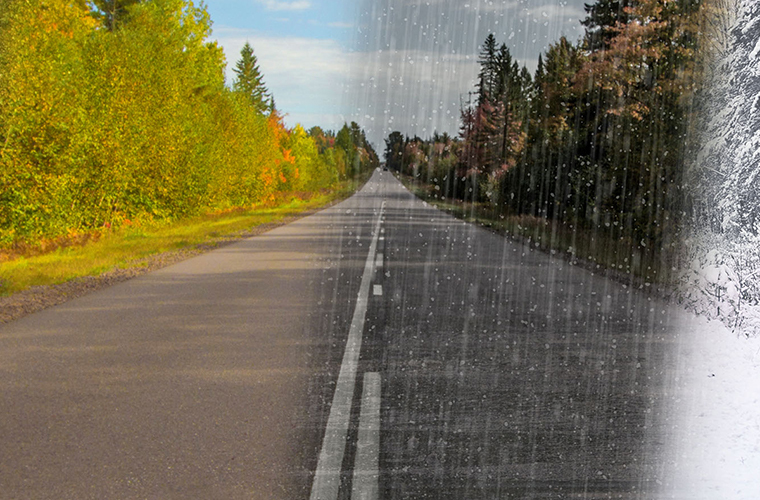 So how do all-season tyres differ from traditional summer and winter tyres? The dedicated seasonal tyres are specifically optimised to work in warm weather and cold weather conditions respectively. Each features a unique compound which is engineered to perform at its optimum best, but at very different temperatures. Summer tyres use a compound that is stiffer because this can cope with warmer temperatures. Conversely, the compound used for winter tyres is much softer, allowing it to be more pliable in colder temperatures. In the case of all-season tyres, the compound is engineered so that it can provide some of the qualities found in both summer and winter tyres – though not all of them. As such, all-season tyres will perform better than summer tyres in winter conditions, and vice versa, but they’re not a straight like-for-like replacement for either. 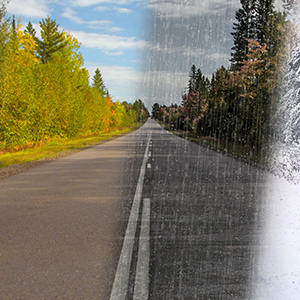 All-season characteristics reflect a balance of two different sets of driving condition requirements, and as a result, cannot offer the very highest levels of performance that dedicated summer and winter tyres provide. – If you are driving with a limited amount of mileage each year, and not overly dependent on your car. If this sounds like you, then all-season tyres are an alternative fitting solution that are worth considering. Many UK drivers fit this description and choose the award-winning Continental AllSeasonContact™. It’s little wonder, since it delivers impressive grip on snowy, slushy and wet winter roads, as well as good braking performance on dry and wet summer roads. Furthermore, the AllSeasonContact™ helps reduce fuel consumption, with its best-in-class lower rolling resistance performance. Safety and economy – now that’s worth considering, right? There are all-season tyres for vans and light commercial vehicles too. The good all year round performance they offer is ideal for many fleet owners and managers since they offer some of the safety and performance characteristics of both summer and winter tyres in a single product. This presents a great opportunity to save money on tyre expenditure, and relieve the strain on already stretched maintenance budgets. Dedicated all-season tyres for vans include Continental’s Vanco™ FourSeason 2 and VanContact™ 4Season, which not only offer small, medium and large business fleets alike good braking and safety performance, but higher mileage and reduced fuel consumption too. As such, all-season van tyres may be the right option for your fleet vehicles. You should talk to the experienced team at Asda Tyres for more information on fleet tyre purchases. 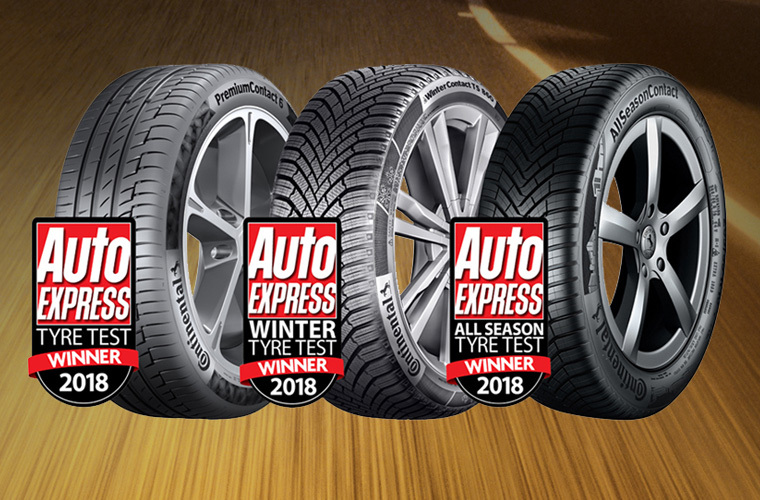 At Asda Tyres, our dedicated, experienced team of tyre professionals can provide you with unrivalled impartial, expert tyre advice, including if whether all-season tyres are right for you. To learn more about the best all-season all-weather tyres, find your nearest fitting centre here. Previous	What are all-season tyres, and are they right for my vehicle? Next	What are all-season tyres, and are they right for my vehicle?